Updated December 2016: In recent years there have been some major changes to the UK planning system mostly in favour of installing renwewables. The planning permission requirements for installing solar panels and solar PV systems have in most cases been simplified and relaxed for most residential, commercial and agricultural solar PV system installations. As far as practicable the array should be sited to minimise the effect on the external appearance of the building. Assuming that the outbuildings are already built and they are located within the curtilage of a residential property such as barns, garages, sheds and other outbuildings the installation of a solar PV system is classified as 'permitted develpment' with the same conditions applicable as to houses (see above). The solar PV array must not face onto or be visible from the highway if located within a conservation area or a world heritage site. 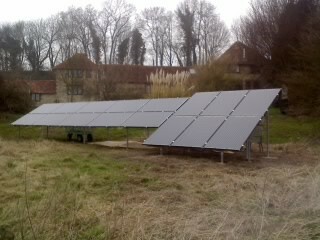 Ground mounted systems of greater than 9m sq (4-5 large solar panels) will require planning permission. The installation of solar PV canopies and carports may or may not come under 'permitted development' depending on the nature and size of the installation and the local authority. The carport or canopy should not take up more than 50% of the available outside space. In all cases, as so much comes down to interpretation, we advise contacting the local authority before commissioning work on bespoke structures such as solar PV canopies & carports. As far as practicable the PV array should be sited to minimise the effect on the external appearance of the building. The solar PV array does not face onto or be visible from the highway if located within a conservation area or a world heritage site. As most commercial solar PV system installation are much bigger than 9m sq, planning permission will be required for commercial ground mounted solar PV systems in nearly all cases. Planning permission is required before building carports, canopies, smoking shelters and other PV mounting structures that will serve commercial, industrial and agricultural buildings. Planning Permission Required - What's Next? The need to get planning permission before installing a solar PV system should not put anyone off from installing a system. The installation of solar PV technology is generally well understood and welcomed by most local authorities but understandably some protections need to be in place. The recent changes to 'permitted development rights' are proof of the positive approach taken by central government with regards to installing renewables. In our experience a planning application with a considered and well designed system that takes account the wider environmental impact and minimises any negative effects of an installation is likely to be treated fairly. Most local authorities have their own guidance about installing renewables available on their websites and many have implemented local plans to promote the further uptake of renewables in their areas. Planning Permission Required - Key factors the planners will consider. Efficient Land Use - Development of brownfield and previously unused land is encouraged wherever possible. 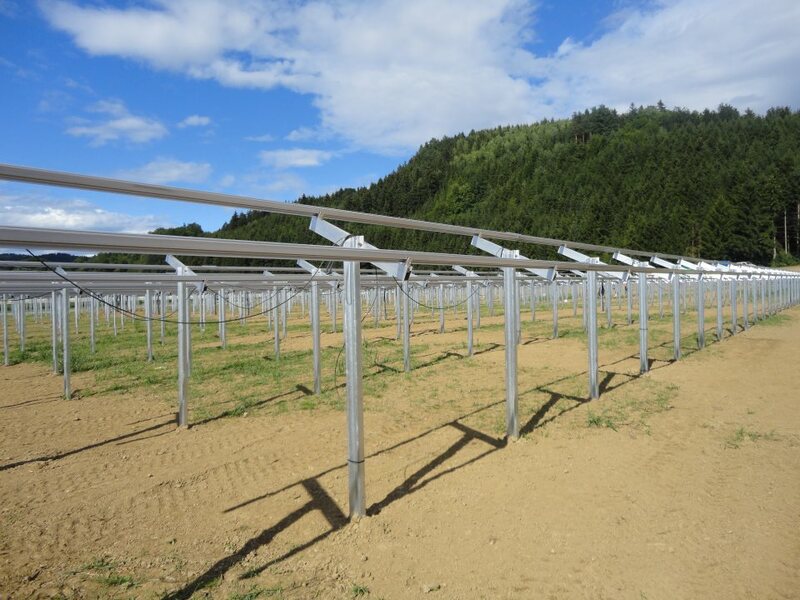 Where greenfield or agricultural land is to be used, dual usage (such as PV + grazing animals) or increasing the biodiversity in and around the installation area is encouraged. 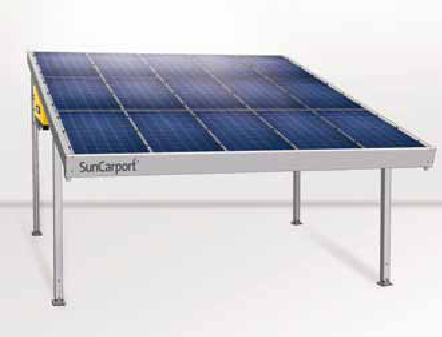 Temporary Structures / Minimal environmental impact - Although solar PV arrays have a long lifespan the planners especially in the case of ground mounted systems will want to see that the installation area could be reinstated with as little environmental impact as possible should the system be decommissioned. Preserve Views and Heritage Assets - There is a recognised value in the preservation of views and landscapes. The visual impact of a solar PV installation in areas that could be described as containing heritage assets should be minimised. A heritage asset could be a series of buildings, a landscape, a view, an archaelogical site etc. A heritage asset does not need to be a legally protected asset such as a conservation area. A heritage asset could be anything of special interest, of national or local importance or offering some other value that could be adversely affected through the installation of a solar PV system. The cumulative effects of multiple solar PV systems within an area will also be considered. NB: It is also always sensible to involve local authority planners and particularly AONB and Conservation Area officers involved in planning permission decisions in sensitive areas as early as possible in the planning and system design process. 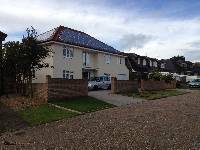 Not the same as planning permission but still the responsibility of the local authority is compliance with the Building Regulations. 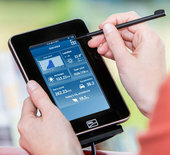 In one way or another solar PV installations will always need to be in compliance with the building regulation (e.g.. the safety of electrical systems and structures). We give examples of where building regulations will likely apply and need to be referred to here: Solar PV Safety and The Building Regulations. Further Reading, policies and guidance (pdf docs open in a new browser window). Planning Policy Statement 7 (PPS7): Sustainable Development in Rural Areas. We have experience in preparing planning permission documents, plans and preparing technical drawings for ground mounted systems, roof mounted systems and bespoke solar PV mounting structures. Our design engineers have experience with the planning system, with working with listed buildings and within conservation areas, we can help to design appropriate systems and guide system owners and developers through the planning process.